1. 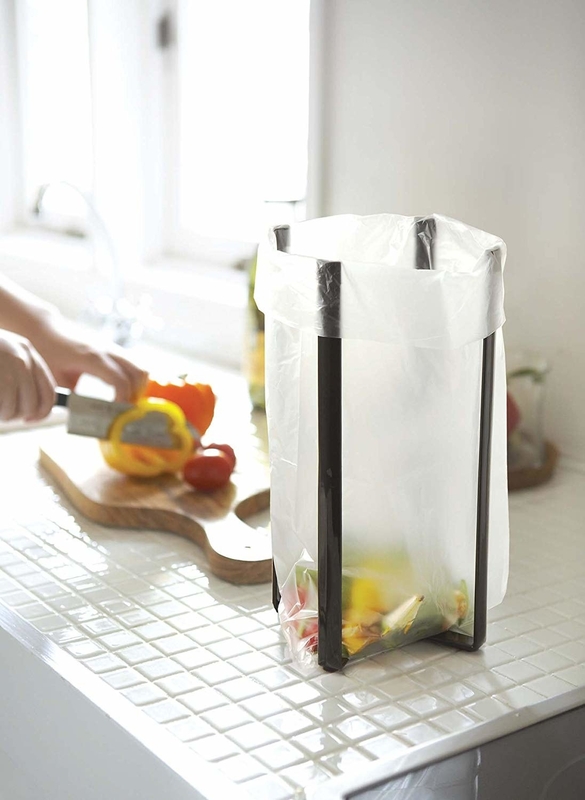 A hanging garbage bag holder that won't crowd your counter space. 2. 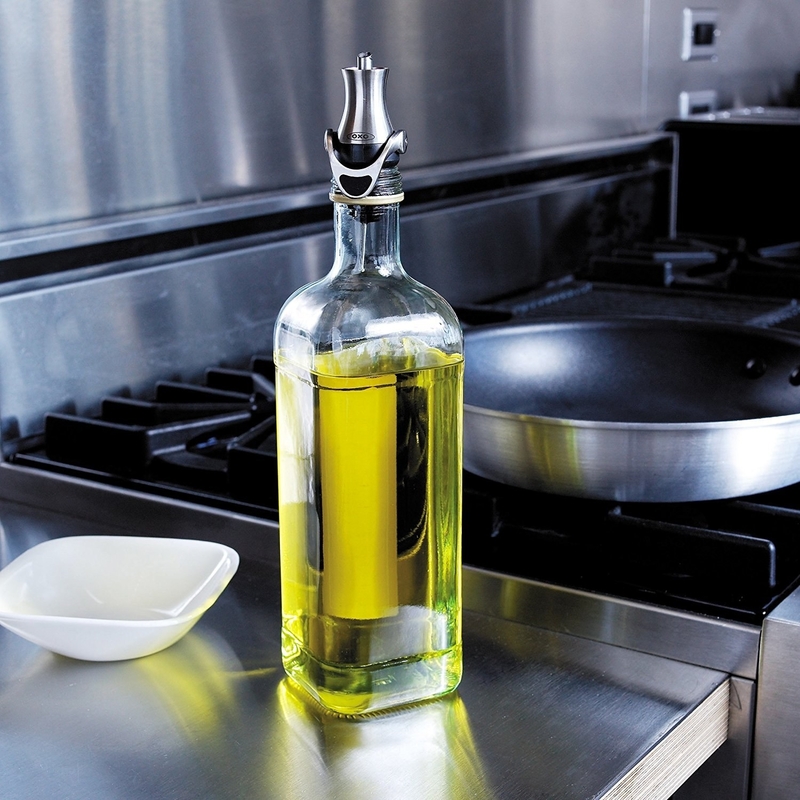 A spill stopper to avoid worrying about that pot of pasta boiling over and wreaking havoc on your stovetop. Get it from Amazon for $19.95 (available in five colors and three sizes). Or, check out a cheaper version. 3. A cutting board with a bottom tray for catching chopped veggies, run-off juices, or scraps. You can also use the tray to marinate meats. Get it from Amazon for $23.13. Or, check out another option! 4. A rotating utensil holder so you can quickly find and grab the tool you need. 5. 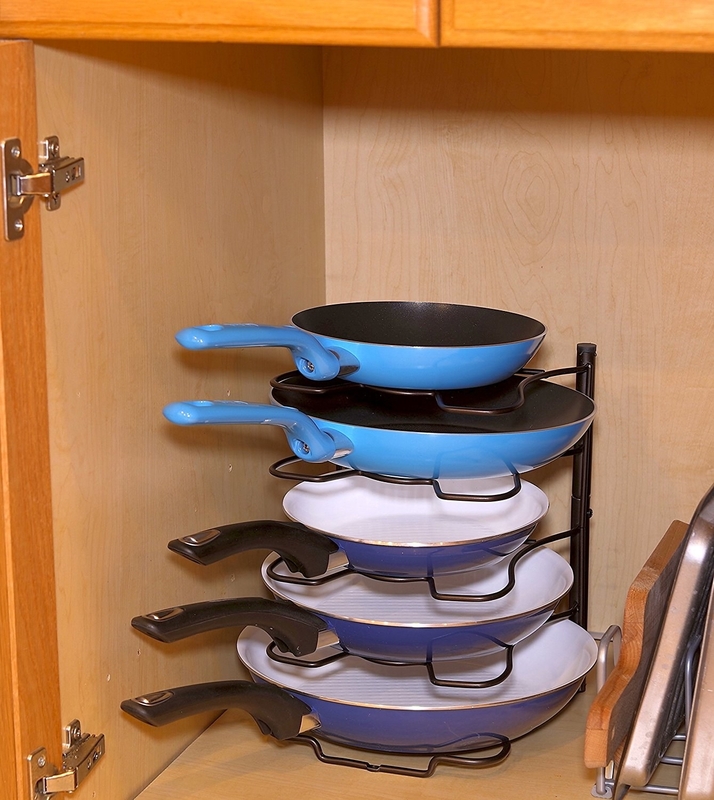 A pan and pot lid organizer that'll keep your cabinets neat and make everything easily accessible. You can use it upright or on its side. Get it from Amazon for $14.97 (available in two colors). 6. A splatter protection wall to keep grease from flying EVERYWHERE. It's made of BPA-free silicone that's heat-resistant up to 450°F. 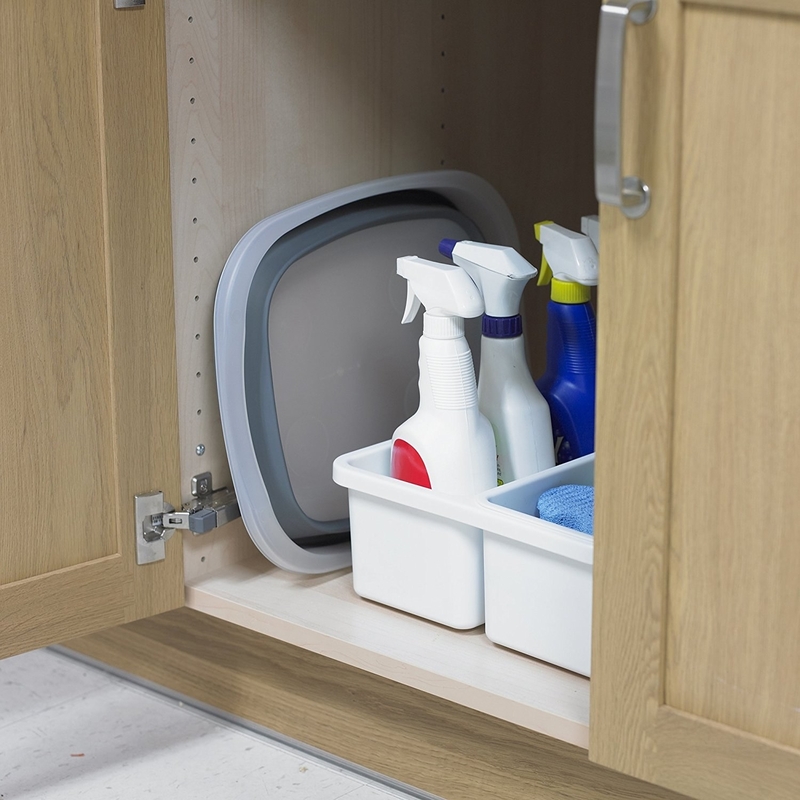 You can throw it in the dishwasher for cleaning and roll it up for compact storage. This size is designed to fit any 10-inch pan, but it also comes in a larger size and a smaller size. Get it from Amazon for $21.95 (available in three colors). Or you can opt for a more conventional splatter screen. 7. A three-section skillet for cooking a whole meal with one pan. It's dishwasher-safe and oven-safe up to 350℉. Get it from Amazon for $29.64. 8. A cookbook and tablet stand with a splatter shield so 1.) you never lose your page and 2.) you won't get marinara sauce on your iPad. It folds flat for storage. Get it from Amazon for $34.95. Or, check out a cheaper option. 9. 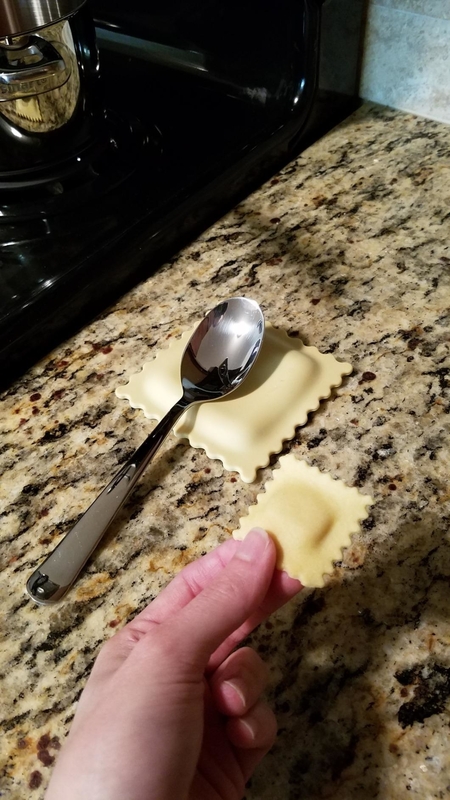 A ravioli-shaped spoon rest that'll be worth every ~penne~. 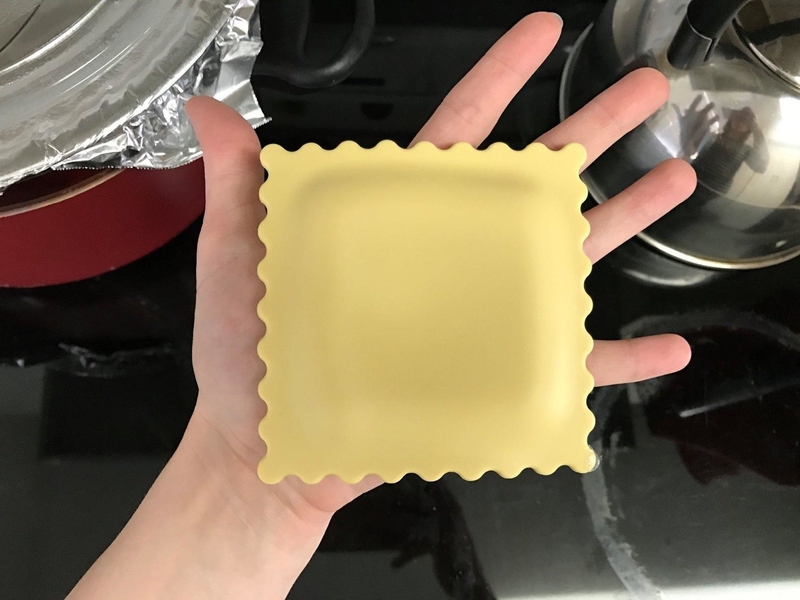 Real ravioli in the left photo for scale. 10. 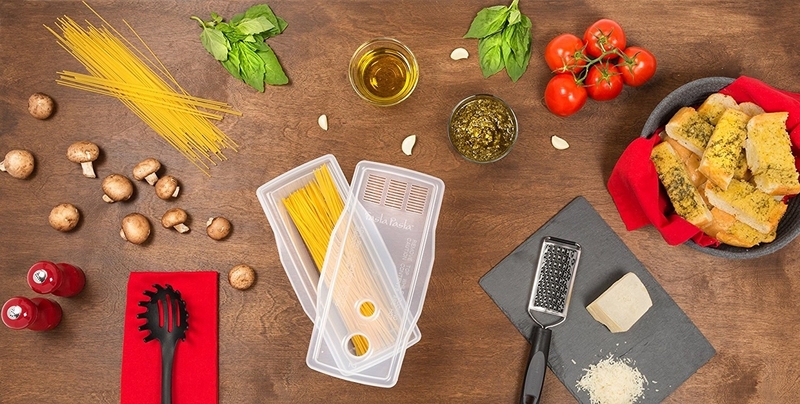 A set of stackable refrigerator storage bins to keep all your raw ingredients organized. Get a set of six from Amazon for $30.99. 11. 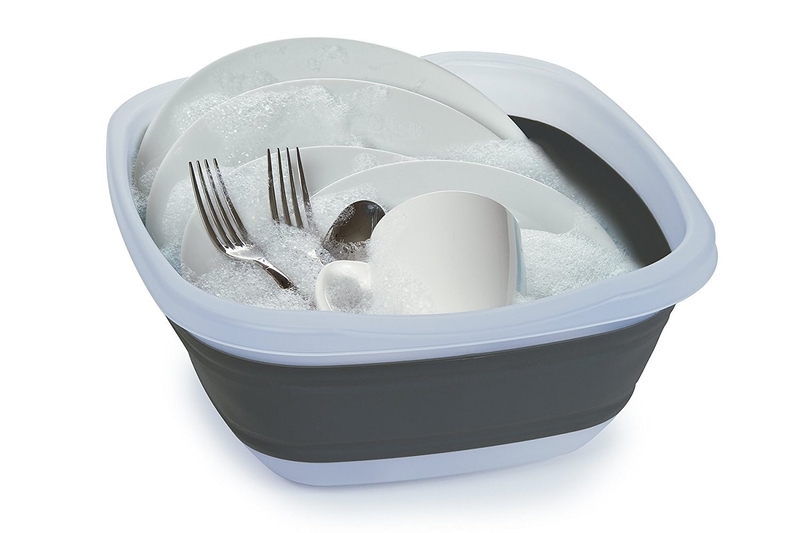 A collapsible dish tub for soaking dirty dishes and utensils in until you're ready to wash them. The collapsing feature makes it great for small kitchens and camping trips. Promising review: "This is a great bucket — silly to be excited by a bucket, but it is really well designed. I use it as a hand-washing dish bucket when my sink is full. It collapses well for storing and when opened, it is really sturdy. Buckets are bulky and take too much space. This will get great use when I camp, etc., in addition to my hand-washing help." —B.C. 12. A lazy Susan spice rack so you don't have to empty half of the cabinet to find the cumin. Get it on Amazon for $10.63+ (available in four sizes). 13. 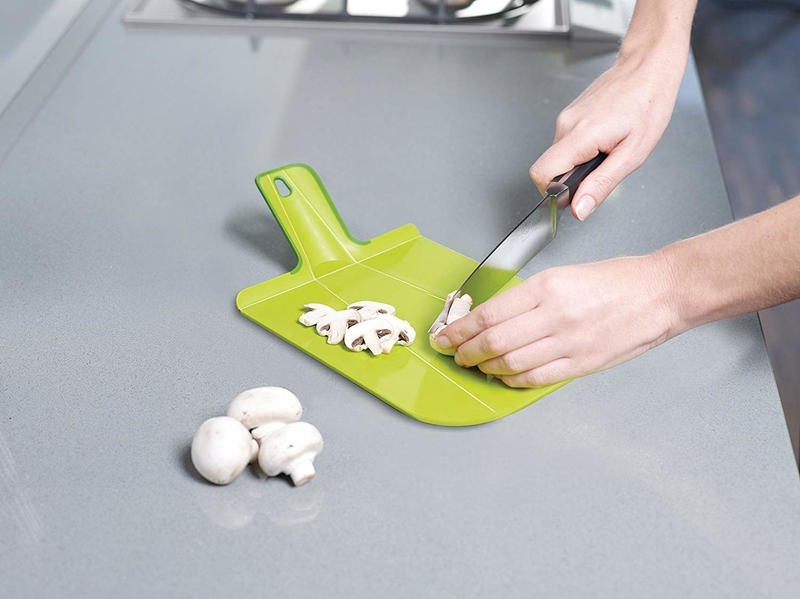 A flexible cutting board that can transform into a scoop for easily transferring ingredients into the pot. I have two of these, and they really do make directing ingredients into a pot or pan a lot easier compared to a flat board. It's dishwasher-safe but very easy to hand-wash as well. The pictured mini size measures 12.5" x 6.5", but you can also opt for the small (15" x 8.75") or large (9" x 10.75") size. 14. 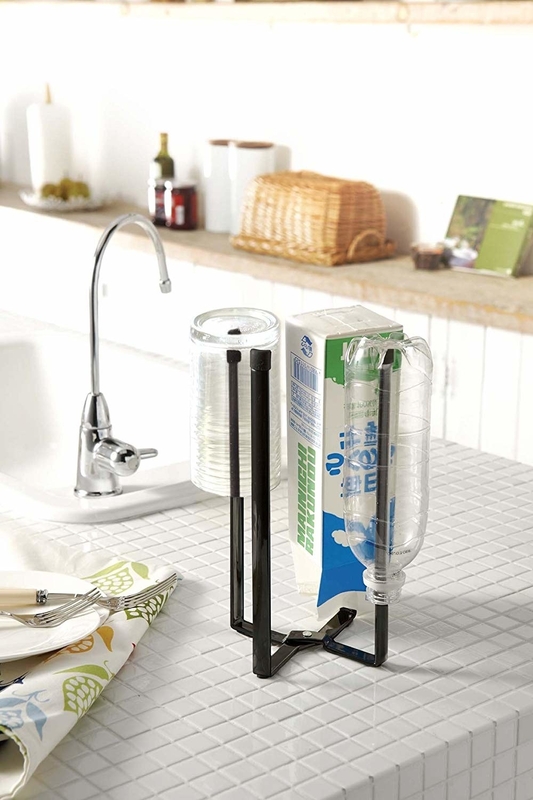 A magnetic fridge rack with a paper towel holder to keep your cleaning supplies within reach. 15. An elevated slotted spoon you won't need a rest for (the handle is heavier, so the head is always raised). The nylon tool head is heat-resistant up to 392°F, and it's dishwasher-safe. Get it from Amazon for $9.39 (available in five utensils). 16. A perforated washing bowl so rinsing rice and produce won't be a draining process. 17. A mini food processor that'll do all the messy prep work for you and isn't an eyesore. 18. 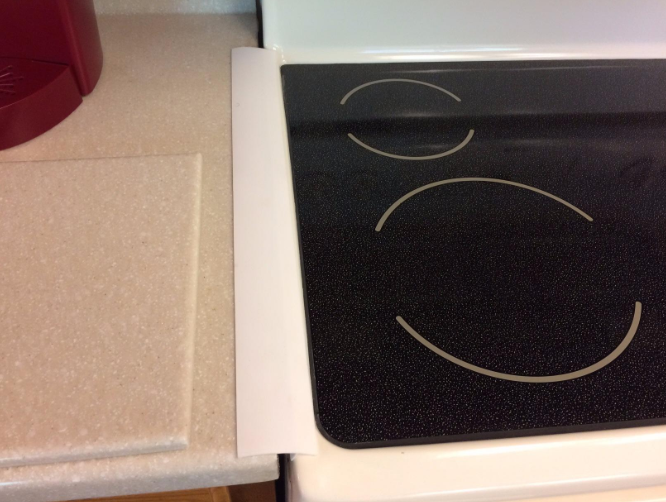 A set of stove counter gap covers to keep crumbs (and liquids) from falling into the unreachable abyss. 19. A set of flexible measuring cups for some precise pouring control. Get a set of three from Amazon for $22.34. 20. A 2-in-1 salt and pepper grinder set so you won't have to switch between two shakers. You also won't have to worry about accidentally toppling it (there's nothing quite like cleaning up spilled salt) or pouring out too much at once. You can adjust the grinder for different levels of coarseness. 21. A 3-in-1 avocado tool that'll actually be easy to clean because there are no crevices or loose parts. It'll slice your avocado in half, remove the avocado pit, and scoop out the rind. Plus it has no loose parts, so there's nothing to break. Bonus: it's dishwasher-safe. 22. 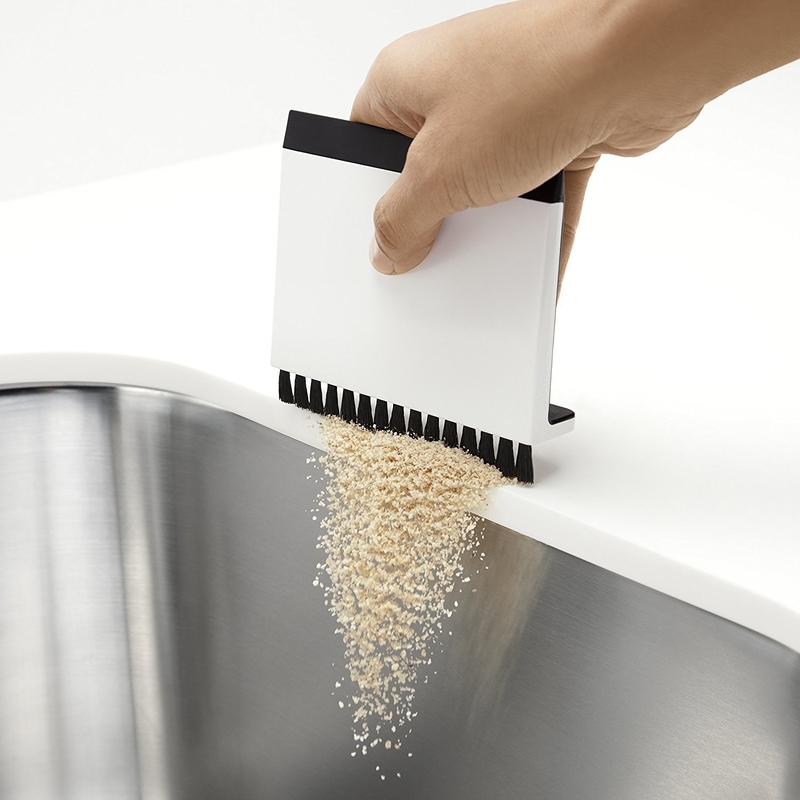 A clip-on strainer to keep your food from falling into the sink. Bonus: Your hands won't come close to hot liquids! 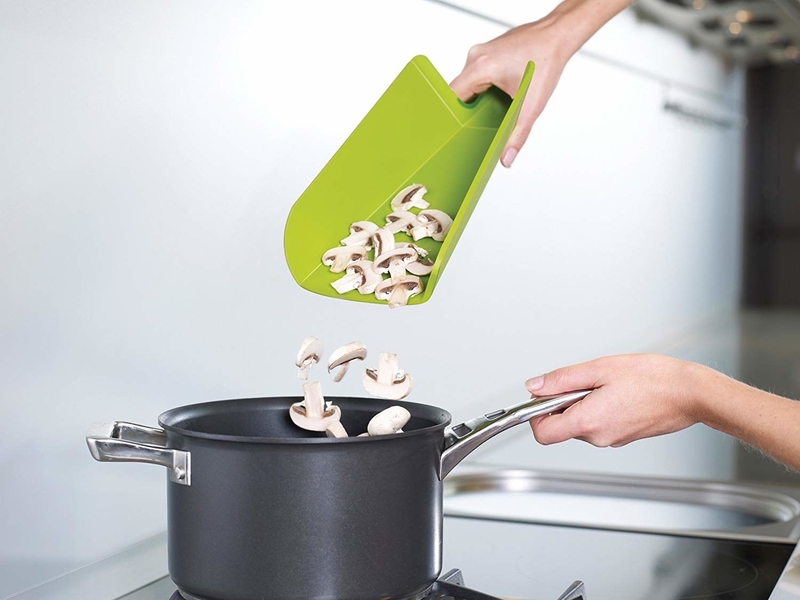 It's made of flexible silicone and designed to fit most pots and pans. 23. 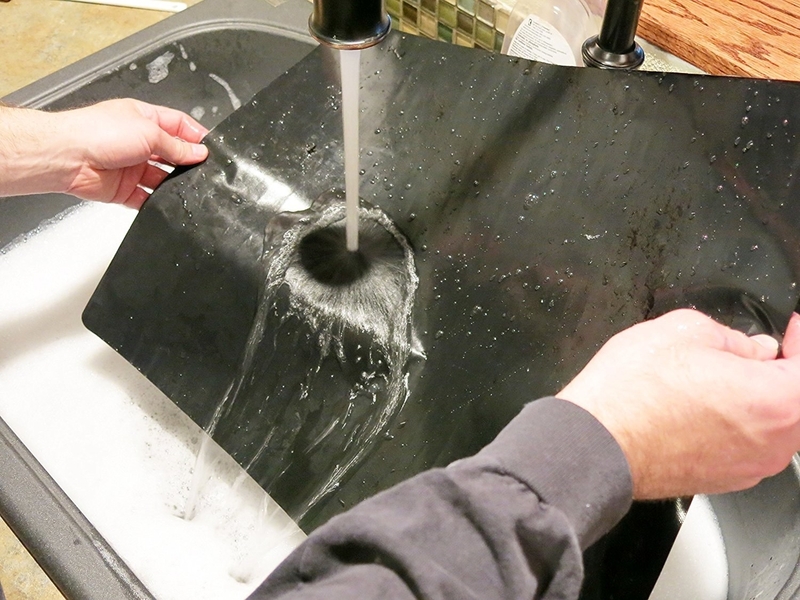 A brush and squeegee combo for swiping spills on the countertop into the sink. You'll save a lot on paper towels. 24. A funnel set so liquids won't spill everywhere as you're transferring some from one container to another. This set comes with a 4-oz funnel, a 16-oz funnel, and a strainer. 25. A cotton apron that'll protect you from inevitable splatters. It's so pretty you'll actually want to wear it. 26. 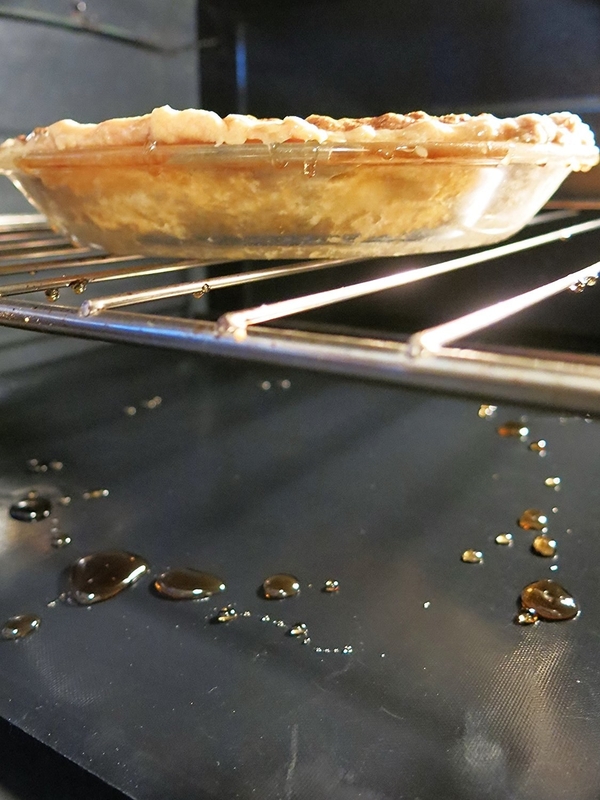 A pack of nonstick oven liners to catch any drips, spills, or crumbs and prevent them from becoming burnt blobs that won't budge no matter how hard you scrub. These measure 23" x 16.25". Get a three-pack from Amazon for $16.95. 27. A set of silicone pinch bowls for mise en place. They're stackable and shatterproof. 28. 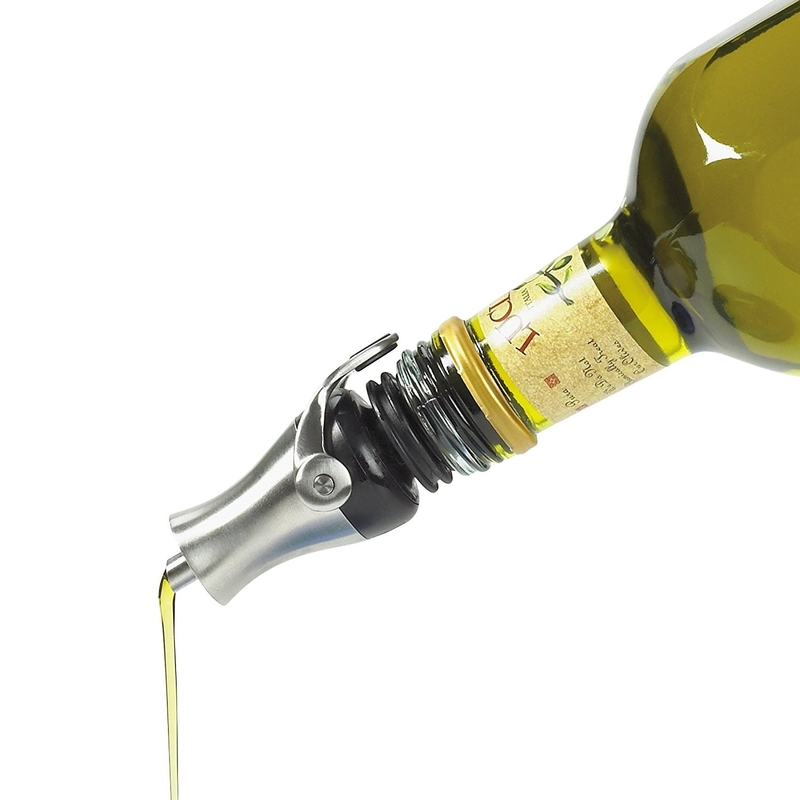 A drip-free oil stopper and pourer so you can always get the perfect amount. 29. A no-mess citrus juicer that won't leave your hands covered in pulp. Get it from Amazon for $21.72 (available in three styles). 30. A pot clip (with a flexible opening) to hold up your sauce-covered spoon. This lil' gadget is made of stainless steel and silicone that's heat-resistant up to 482°F. It's also dishwasher-safe. 31. A flat colander for catching all those scraps in the sink. Simply lift up and dump into the trash can. Amazing. 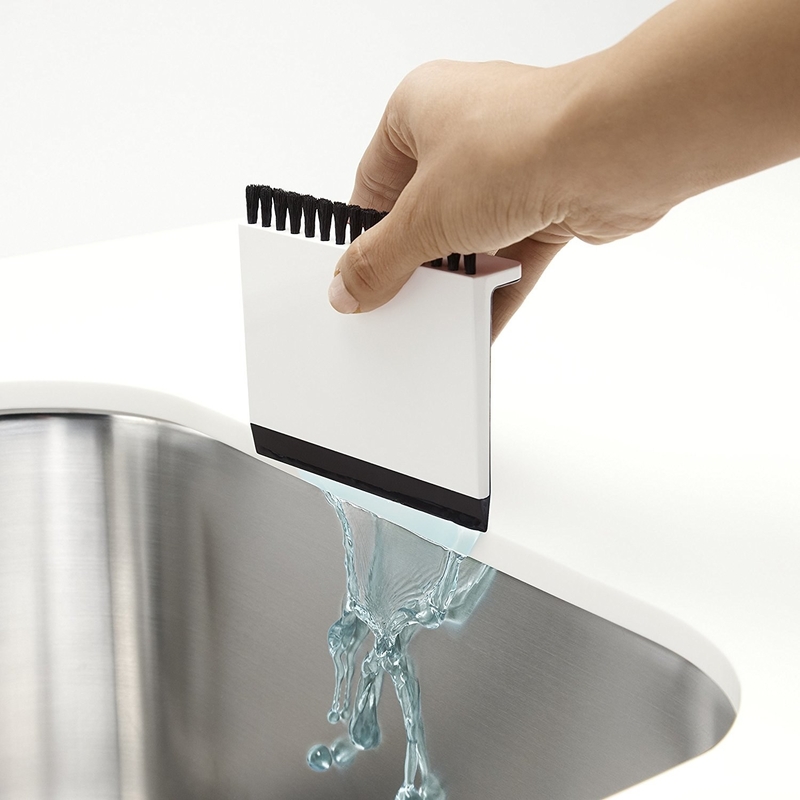 It's 100% recyclable, safe to submerge in boiling water, and dishwasher-safe. Get it from Amazon for $13.64+ (available in three colors). 32. A microwave pasta cooker so you can make dinner in minutes. It's one less pot to wash! 33. A hand-powered food chopper, because dicing tomatoes can get really sloppy. You can toss it in the dishwasher after using it. Get it on Amazon for $14.90+ (available in two colors). 34. 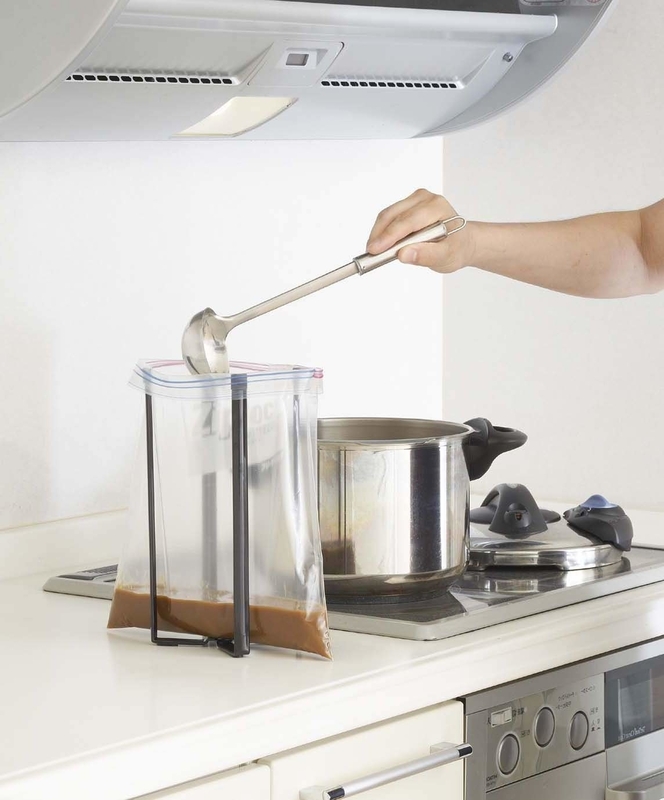 A collapsible multipurpose stand to prop open ziplock bags so you don't accidentally scoop some stew onto the floor. It's also great for holding trash bags to collect scraps. Bonus: it's also a bottle rack! 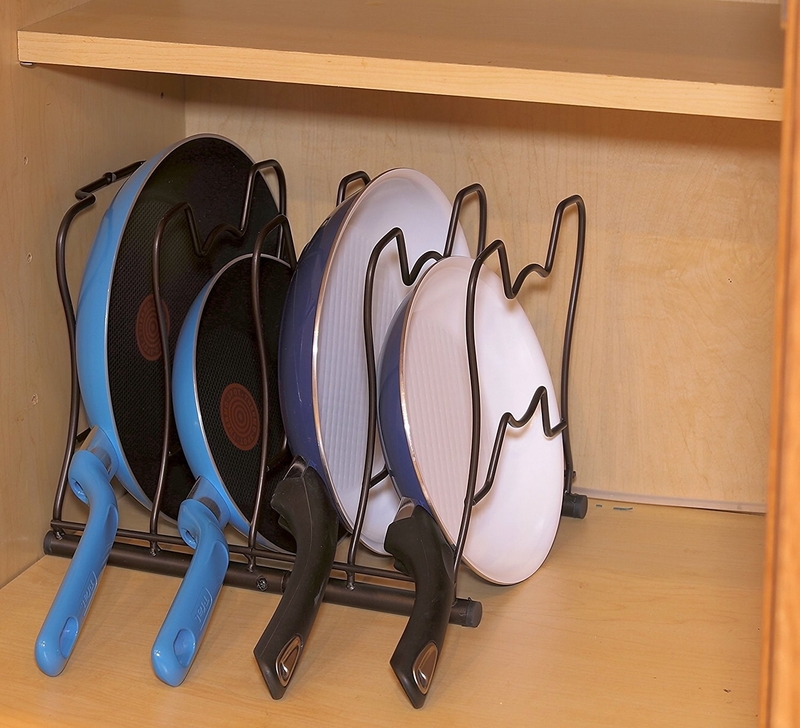 Read my review of this multipurpose rack (#1). 35. 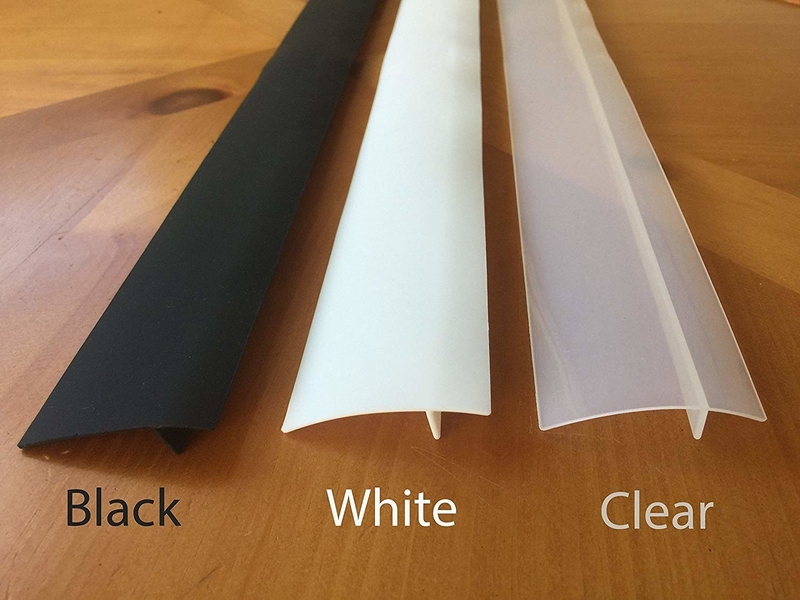 A pack of nonstick gas range protectors for keeping the stovetop clean. They're heat-resistant up to 500℉ (but just don't hold them directly over a flame). Get an eight-pack from Amazon for $11.78. Or, check out another option made of aluminum foil. 36. And a bottle of Mrs. Meyer's multi-surface cleaner that'll leave your counters sparkling clean and your kitchen smelling amazing. Your kitchen is going to be so clean and tidy! Want more amazing kitchen products? Here they are!